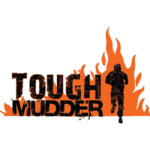 Tough Mudder is not an ordinary mud run - it's an experience. An escape from the everyday. At Tough Mudder, you wont just face your fears - youll knock them down. Youll go over, around, and through them. Youll test your strength, stamina, and grit, and youll help the Mudders around you to do the same.